Blue Sodalite is a blue marble composed of lazulite, calcite, and pyrite. The symbiosis between calcite and pyrite creates a unique veiled surface that transports us to a velvety cobalt sea furrowed by golden waves. This stone, considered a gem, invites to be calm and creates a state of confidence and peacefulness thanks to a fascinating blue that subtly seduces the viewer. 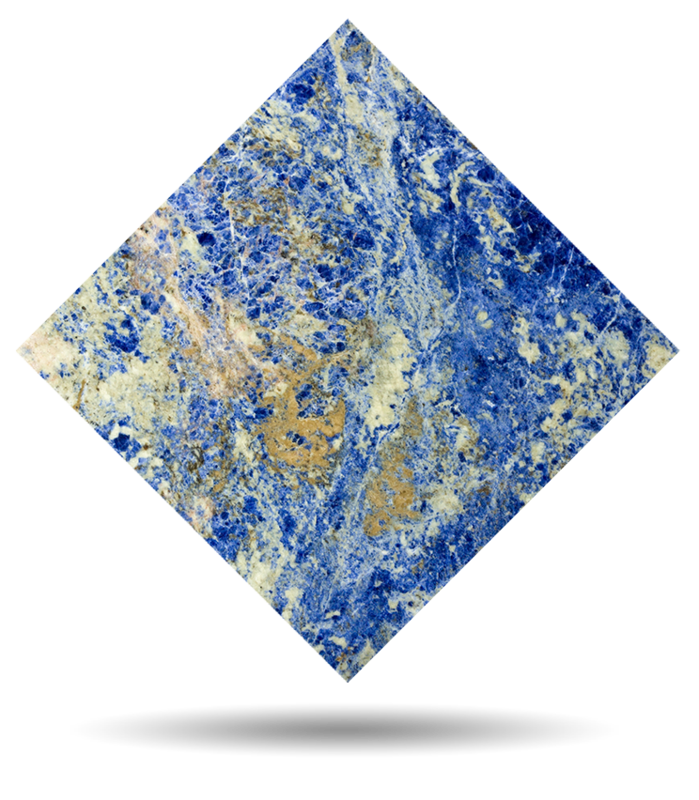 Due to its uniqueness, Blue Sodalite is highly valued by renowned architects and interior designers, especially in refined environments. TINO Collection standard surface finishes are: Polished, Honed, Domus and Sandblasted. 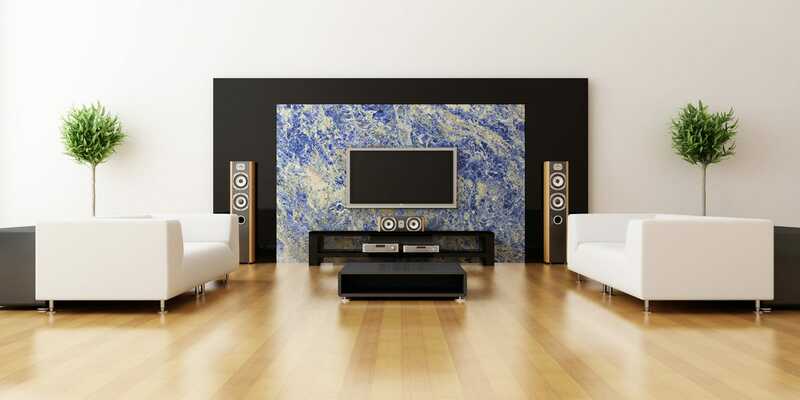 TINO offers Blue Sodalite blue marble in any formats and finishes desired by the customer. Check maximum size per finish. For other finishes, please check availability and sizes.